Nature’s Select can help control the damage caused by moles and voles on your property. Moles are small, thick-bodied mammals that live underground. They use their front paws and forelegs like shovels to scoop out the earth in order to build homes and find food. Moles mostly eat grubs, worms and insects, not plant material. It is their digging and tunneling in search of food that ruins lawns and gardens. 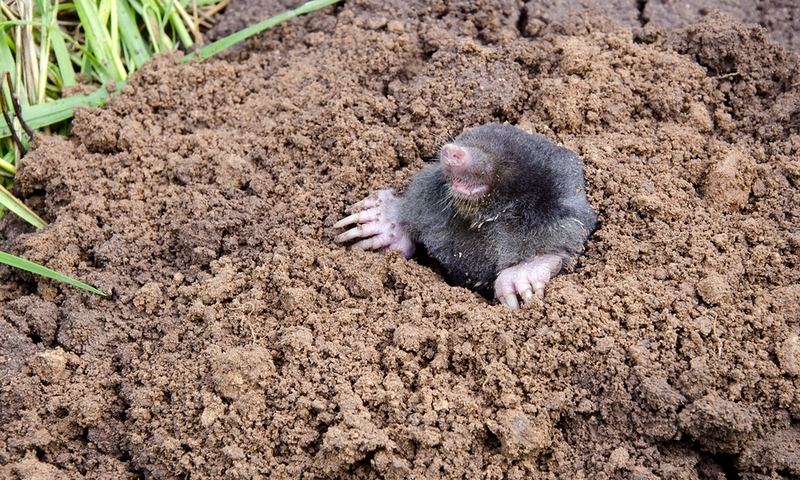 The control of moles is a difficult challenge as they are a protected species, and a permit from the state must be obtained prior to their removal or extermination. An indirect control procedure is to reduce the grub population, in turn causing the moles to look for food elsewhere. Another option is to repel them. The EPA has recently approved a new product that repels moles for up to 60 days. The formula of this repellent is biodegradable and is not harmful to humans, pets, birds or plant life. It also repels rabbits, woodchucks, raccoons and skunks. Ask us what options for mole control will work best for your property. 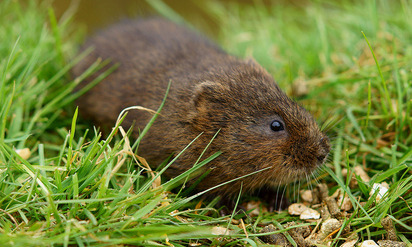 Voles are small mice-like mammals that live in field and shrub habitats. Voles can cause damage by eating flower bulbs, girdling the stems of woody plants, and gnawing roots. Plants not killed outright may be invaded by disease or die from water stress during periods of drought. Left unchecked, voles can cause major damage to ornamental landscapes. The most effective control for voles is to locate their runways and apply a rodenticide bait. Repeat applications may be necessary to achieve control. After control is achieved, the infested area should be checked twice annually, once in spring & once in fall, and cultural practices that reduce the attractiveness of the property to voles should be implemented.